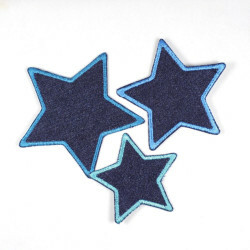 patches jeans star blue with blue trim, iron-on patches, Flickli - solid denim patches perfect suitable as knee patches! 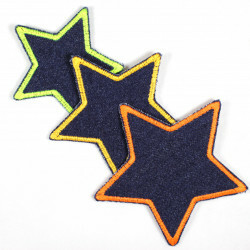 This beautiful and simple Patches star with red trim on blue background is deposited with a high quality ironing film. The attachment is so easy! 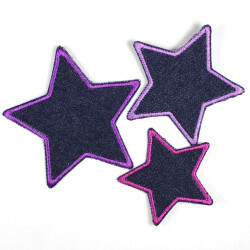 The pants patch star on denim, made of solid denim, making this a great knee patches Patch! The star ironing patch is delivered in a packaging with a detailed ironing instructions.